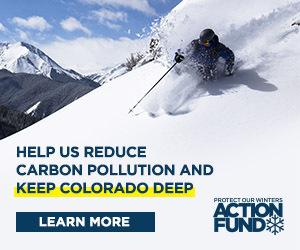 “This article in the Crested Butte News caught me by surprise,” he said, referring to the December 29 story explaining that the commissioners have asked the TA to use Local Marketing District (LMD) funds to not just attract more tourists to the valley, but to also spend time developing a more diverse economic base, shoring up “sustainable tourism” efforts and helping attract and retain students at Western State Colorado University. The commissioners, who control the LMD budget, signed a contract with the TA to assume those additional responsibilities this week. Schumacher also expressed dismay for what he described as a clandestine approach to publicizing the news. “Putting it out to the public on a Friday at 4 p.m. and voting on it on a Tuesday after New Year’s is not very transparent,” he said. Schumacher said the Crested Butte News article was the first he’d heard about it. “We’ve been talking about it for three months,” said commissioner John Messner. “I had a conversation [with you] in springtime and at that time you were going to use the money for housing,” said Schumacher. Commissioner Jonathan Houck suggested the evolution of the TA is no different from what has occurred with other organizations. He used the Regional Transit Authority as an example. When the RTA began, he said, they had no buses. Now they run several, along with senior transportation services. The responsibility of local government, Houck said, is to use that money for the benefit of the community. “We’ve been phenomenally successful bringing people here,” he added as a testament to the TA’s success. “Where do you guys get the idea that we’ve been phenomenally successful bringing people here?” asked Schumacher. He cited his own business’s poor bookings through the TA/Crested Butte Mountain Resort booking services in September. “I understand your grand philosophy,” he added, “but I’m just saying once you let the cat out of the bag,” it’s going to come across as misrepresenting the TA’s mission. Heads in beds, assured Chamberland, is still the main mission of the TA. Schumacher also expressed discontent with the balance of representation on the TA board of directors, saying the promise was for a balance of board members between the north and south valley. He said there have been three representatives from the south and four from the north for quite some time. Messner suggested it’s hard to strike a perfect balance with a seven-member board. Shumaker said the majority was supposed to alternate. Chamberland said part of the challenge comes with who applies to serve on the board. Schumacher said he had also tried to get information on TA salaries, but could not. He said the TA’s spending of 25 percent of its funding on payroll is excessive. Messner said he didn’t think 25 percent sounded excessive and explained that the TA is a private, non-profit owned by the businesses of Gunnison County. “It’s public money they’re using,” responded Schumacher. “Don’t you think that [information] should be public?” Schumacher said whenever he approaches the TA for answers, he gets nowhere and is labeled a complainer. Fair Treatment under the LUR? Schumacher also said he was treated differently from how developers are treated today by the county when he sought to develop property in the county. “I did Three Rivers Resort and I have a mobile home park. I was told I need to buffer the mobile home park and I was forced to put three single-family homes in there.” That park, he said, might have been a good option for affordable, workforce housing. “I think that what you have seen over the last few years, is that people have come to understand the [housing] crisis. We’re now looking at our regulations to make sure they aren’t discouraging the type of development that would alleviate that,” said Messner. “Just because that happened to you 15 years ago doesn’t mean that’s the case today,” added county manager Matthew Birnie. “It’s also about learning. Even the housing subdivisions with dedicated lots for affordable housing have not generated enough to resolve the problem,” said Birnie. “Well, I’m glad you’re changing in that direction,” conceded Schumacher.